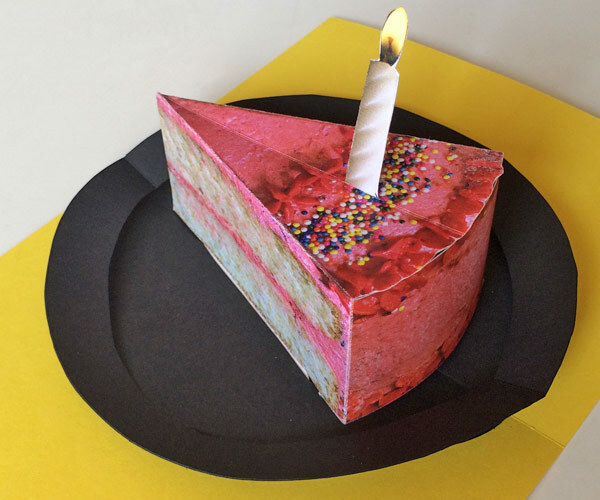 This is an all purpose printable pop-up card: a slice of cake is perfect for a birthday, of course, but also as a Valentine or to celebrate your first wedding anniversary, when tradition dictates gifts made of paper, and consuming the left-over slice of wedding cake. 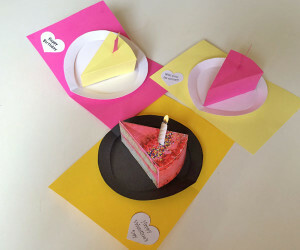 The template comes with a photo realistic, home baked pop-up slice of cake but you can also choose a blank template with cut and fold lines, so you can decorate your own. 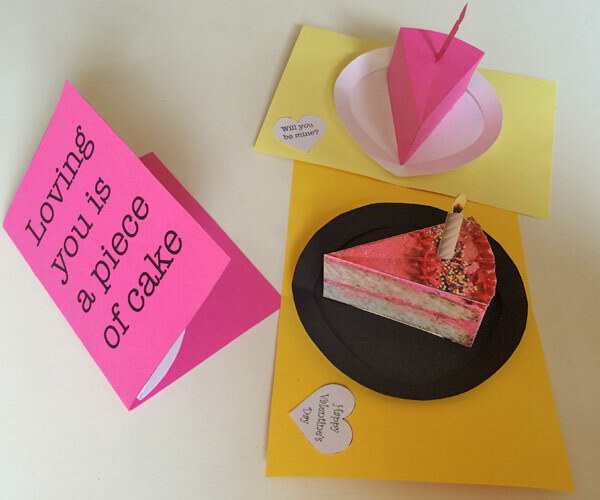 A selection of sentiments can be added to the interior of your card (including “Happy Birthday” “Be Mine” “Happy anniversary” “Happy Valentine’s Day” or for the carrot cake, “Eat Your Veggies”) or use the blank heart to write your own message. 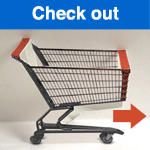 The exterior is equally easy to customize. 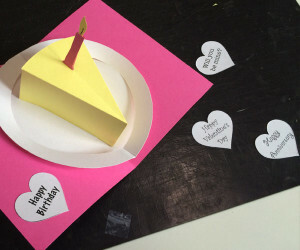 You can glue your cake with its plate inside any card (even a store-bought one! 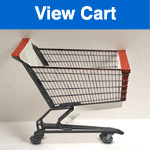 ), as long as your folded card measures at least 4.5″ by 6.25″ (11.5cm by 16cm). This vanilla cake template comes with the recipe used to bake this very cake, including instructions for the butter cream frosting, printed on the back of the card cover. 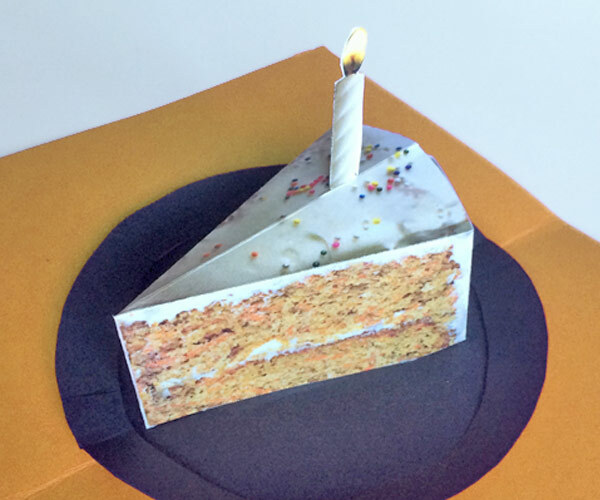 Same pop-up, different cake for those who like their veggies sweet. The front card text is slightly different in this version: “Loving you is a piece of…” it says, leaving the punchline inside the card.